Vacuum lifters with 2 to 8 suction cups for glass sheets with manual rotation an tilting. Manual vacuum lifters for glass sheets, with 2, 4, 6 or 8 suctions cups. 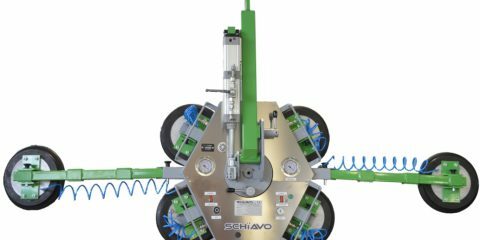 Compact vacuum device for glass sheets handling with manual rotation and manual tilting.